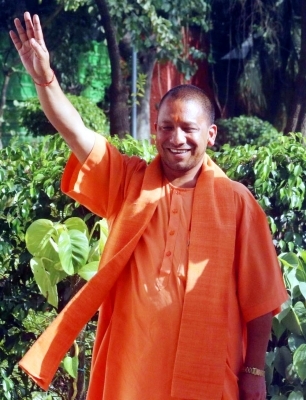 Agra, Oct 26 (IANS) Uttar Pradesh Chief Minister Yogi Adityanath arrived here on Thursday, a visit seen as a damage control exercise. He will first visit the Nagla Pema area where a rubber check dam is likely to be constructed. Locals are hoping that the Chief Minister will unfold a package for infrastructural development of Agra and soothe frayed tempers ignited by a series of controversial statements by politicians on the Taj Mahal. He will visit the Taj Mahal where a cleanliness drive has been organised at its western gate. The Chief Minister is also scheduled to launch Pro-Poor Tourism projects and address a public gathering at the GIC ground later in the day. Adityanath’s visit to the Taj city comes after BJP MLA Sangeet Som had stirred controversy last week when he called the 17th century marble wonder a blot on Indian culture, while some other right-wing politicians have said the Unesco World Heritage Site visited by millions was not representative of the Indian socio-cultural ethos. His last visit to Agra was on May 7.